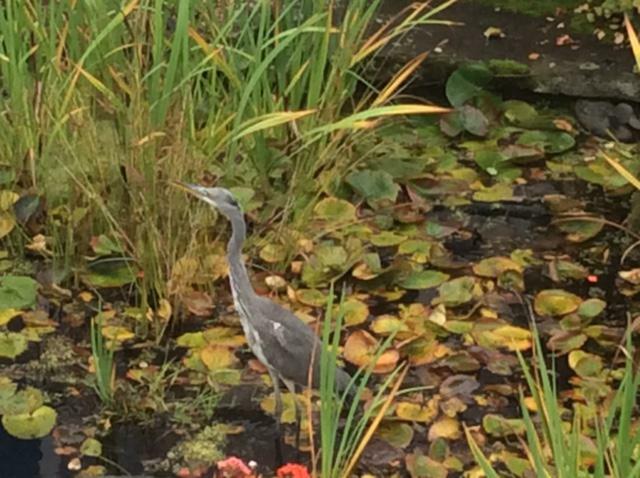 We have had a visitor to our pond this week. A heron has been trying to eat the fish. If you look closely at our logo you will see the bird is a heron; now you know why.